Bringing our professional experience to the table, providing guidance that reflects a true understanding of your needs. Take your talent to the next level. Find an opportunity that meets your passion. 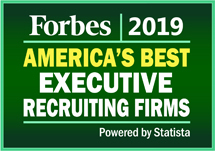 Our recruiting specialists have extensive work experience within their respective industries and can help you connect with leading industry companies. Changing careers is a major decision that can affect every dimension of your life. Our specialists spend time getting to know you, your needs and your goals. We assist you throughout the process by providing career counseling, resume advice and interview prep assistance. At Beneva Group, we are experienced in providing candidates who are thriving in their current position with opportunities to elevate their careers.